Former president Mahinda Rajapaksa was appointed as prime minister by President Maithripala Sirisena. After Sri Lanka's President Maithripala Sirisena dismissed Ranil Wickremesinghe as prime minister, replacing him with the island nation's former strongman president Mahinda Rajapaksa, Mr Wickremesinghe has refused recognise his shock dismissal, in an unfolding constitutional crisis. Mr Wickremesinghe continued to occupy Temple Trees, the official residence of the prime minister, and insisted in a letter to Mr Sirisena that he was still in office. 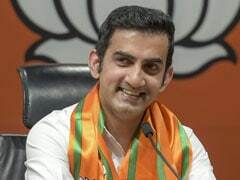 He has said that he can be removed only by parliament where his party enjoys a majority. He urged the speaker to convene the parliament on Sunday to prove he still retained his parliamentary majority. Mr Wickremesinghe also vowed to seek legal action against what he condemned as an unconstitutional move against him. Sri Lanka President Maithripala Sirisena suspended parliament until November 16, parliamentary officials said. 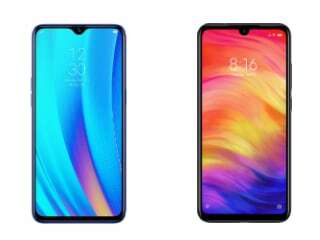 The parliament had been due to meet again on November 5 to unveil the 2019 annual budget. The suspension could destabilise government finances at a time when the country faces an economic crisis. Ranil Wickremesinghe had earlier called for an emergency session of parliament so he could prove his majority. 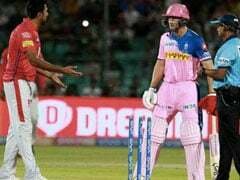 "The changes that have occurred in the Sri Lankan government in a single night encompasses several mysteries and have threatened the Tamils there who are denied their rights," DMK chief MK Stalin said. After the US and the UK, the European Union urge the political parties in Sri Lanka to abide by the Constitution and refrain from violence. 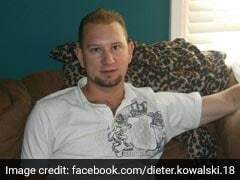 "The Ambassador of the European Union as well as the Ambassadors of France, Germany, Italy, the Netherlands, Romania and the UK, are closely following the events as they are unfolding in Sri Lanka. "We urge all parties to fully act in accordance with Sri Lanka's Constitution, to refrain from violence, to follow due institutional process and to respect freedom of media," the EU delegation said in a statement. Sri Lanka's Finance Minister Mangala Samaraweera calls the appointment of the new Prime Minister Mahinda Rajapaksa, "illegal and unconstitutional"
Sri Lanka President Maithripala Sirisena suspended parliament, deepening political turmoil after he sacked the country's prime minister. 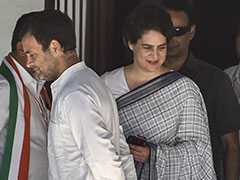 Parliamentary officials said the president had suspended all meetings of the 225-member house until November 16. Sacked Sri Lankan prime minister Ranil Wickremesinghe on Saturday demanded the parliament speaker call an emergency session so he can prove his majority, officials said. Former President Mahinda Rajapaksa's return as Sri Lanka's newly appointed PM ends a more than three-year-old coalition government that was formed by President Sirisena and ousted Prime Minister Wickremesinghe on a promise to combat corruption and financial irregularities. 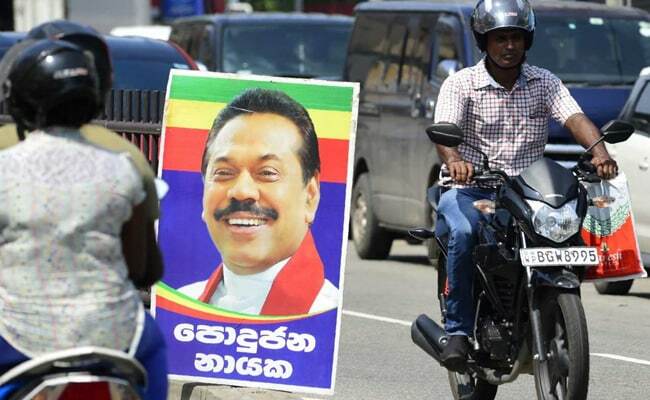 Though Maithripala Sirisena and Mahinda Rajapaksa were originally from the same party - Sri Lanka Freedom Party - Mr Sirisena, who used to be Mahinda Rajapaksa's minister of health, broke away from him to contest the presidential elections. He managed defeat Mahinda Rajapaksa within their political alliance - United People's Freedom Alliance, after loyalists of Mr Sirisena formed a coalition government with Mr Wickremesinghe's United National Party. Mahinda Rajapaksa later formed his own political front, the Sri Lanka Podujana Peramuna. Mr Sirisena then became President and went on to form a coalition with Ranil Wickremesinghe's party which had the larger mandate. While Mr Wickremesingh's party still has the numbers in parliament, he has been ousted by President Sirisena, who brought back his former president as his new prime minister. 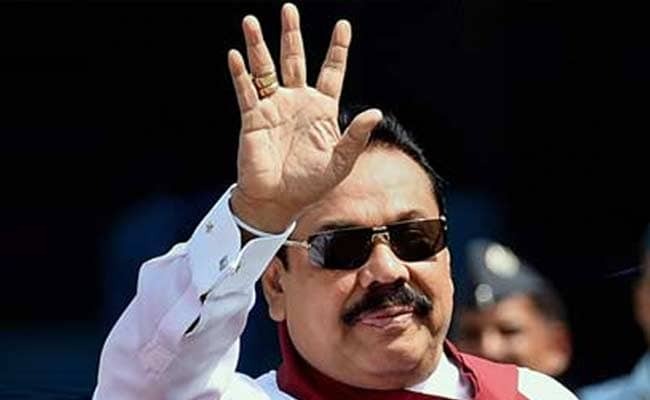 Political analysts say President Sirisena's move to install Mahinda Rajapaksa as the prime minister could lead to a constitutional crisis as the 19th amendment to the Constitution would not allow the sacking of Ranil Wickremesinghe as the prime minister either, without a majority in parliament. Mr Rajapaksa and Mr Sirisena together have only 95 seats and is short of a simple majority. Mr Wickremesinghe's UNP has 106 seats on its own, which is just seven short of the majority mark. The unity (coalition) government (between Sirisena and Wickremesinghe) was thrown into a crisis after Mr Rajapaksa's new party pulled off a stunning victory in local elections in February seen as a referendum on the ruling alliance. 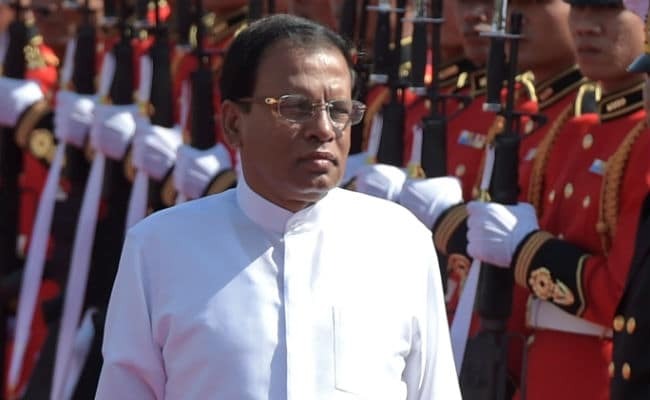 Last week, it was reported that President Sirisena accused his senior coalition partner the UNP of not taking seriously an alleged conspiracy to assassinate him and Gotabhaya Rajapaksa, the former top defence ministry bureaucrat and brother of ex-president Mahinda Rajapaksa. Sri Lanka nearly faced economic sanctions from the West over Mahinda Rajapakse's brutal military crackdown on the banned terror outfit Liberation Tigers of Tamil Eelam (LTTE). The LTTE sought a separate Tamil homeland in the northern and eastern provinces of Sri Lanka for nearly 30 years before its collapse in 2009 after the Sri Lankan Army killed its chief Velupillai Prabhakaran. Mahinda Rajapaksa and his family are facing several cases of corruption and financial irregularities. 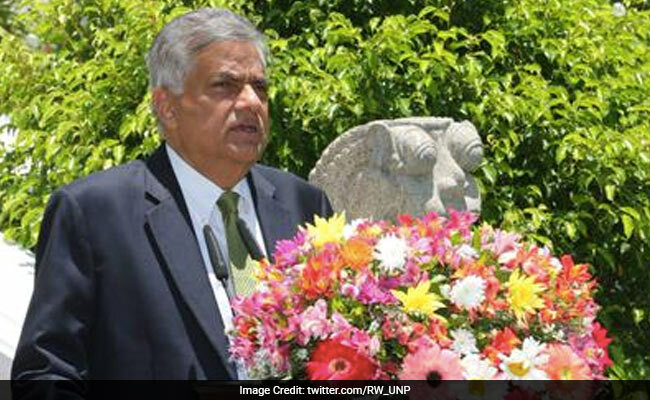 Ousted Sri Lanka PM Ranil Wickremesinghe seeks emergency parliament session. The sudden development came amid growing tensions between President Sirisena and Prime Minister Wickremesinghe on several policy matters and the president has been critical of the prime Minister and his policies, especially on economy and security. Reacting sharply to his sacking, Ranil Wickremesinghe on Friday said that he will continue to be the prime minister till he enjoys the majority in Parliament. "Only I have the majority. The only way that can be changed is through a no confidence motion or if I resign," Mr Wickremesinghe said referring to the 19th amendment to the Constitution. Parliamentary Speaker Karu Jayasuriya has said he will decide today whether to recognise Mahinda Rajapakse as the new PM or not, after seeking legal advice. In April, Prime Minister Wickremesinghe successfully defeated a no trust motion in Parliament engineered by President Sirisena with backing from former president Mahinda Rajapaksa. Mr Wickremesinghe's United National Party or UNP however, suffered one defection after Mahinda Rajapaksa was sworn in with Ananda Aluthgamage meeting the former president and extending support to him. 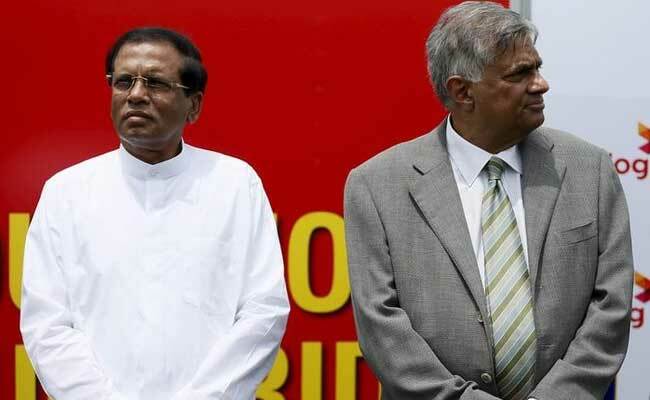 The political crisis unfolded after President Sirisena's broader political front United People's Freedom Alliance (UPFA) announced that it has decided to quit the current unity (coalition) government with Prime Minister Wickremesinghe's UNP. The unity (coalition) government was formed in 2015 when Mr Sirisena was elected President with Prime Minister Wickremesinghe's support, ending a nearly decade-long rule by Mahinda Rajapaksa. Mahinda Rajapaksa is considered to have close ties with China. After Mahinda Rajapaksa suddenly took oath as Sri Lanka's new Prime Minister at the Presidential Secretariat in Colombo yesterday, Lankan President Maithripala Sirisena wrote to Ranil Wickremesinghe, saying he had been removed as PM. "I had appointed you as the prime minister under (article) 42 (1) of the Constitution and as your appointing authority, I write to notice that you have been removed from the post of prime minister," President Sirisena wrote in the letter sacking the incumbent prime minister. Mark Field, British Minister of State for Asia and the Pacific on Twitter called for all parties to ensure that the constitution is respected, while the US Embassy in Colombo called on all to refrain from violence and follow due process. Under Sri Lanka's constitution, modelled on the French system of government, the president has executive powers while the prime minister heads the parliament. Finance Minister Mangala Samaraweera tweeted that "the appointment of Mahinda Rajapaksa as the Prime Minister is unconstitutional and illegal. This is an anti-democratic coup". Ranil Wickremesinghe has asserted that the swearing in of Mahinda Rajapaksa in his place is completely "illegal and unconstitutional" and he will prove his majority in the Sri Lankan Parliament. Mr Wickremesinghe, who is from the United National Party or UNP, vowed to carry on as prime minister despite being removed by President Sirisena. He began his address to the nation yesterday by saying, "I speak to you as your prime minister." He went on to say, "I will continue to be the prime minister. Mahinda Rajapaksa's appointment is unconstitutional." Hours after sacking Ranil Wickremesinghe, Sri Lankan President Sirisena issued two gazette notices. The first notice was on Mr Wickremesinghe being removed as prime minister and the second on the appointment of Mahinda Rajapaska as the new permeir, Sri Lanka's The Colombo Gazette reported today. 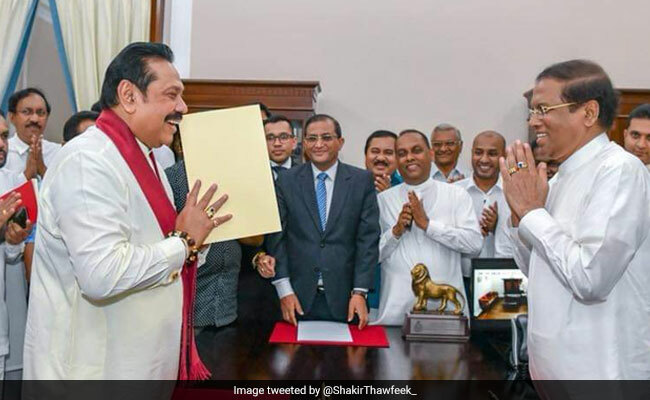 Sri Lanka's President Maithripala Sirisena issued two extraordinary gazette notices this morning, declaring controversial leader Mahinda Rajapaksa the new Prime Minister of Sri Lanka. By doing so, President Sirisena formally recognised Ranil Wickremesinghe's dramatic dismissal as prime minister, leading to a constitutional crisis in the island nation. "We call on all parties to act in accordance with Sri Lanka's constitution, refrain from violence and follow due process," the State Department said on Twitter. "We expect the government of Sri Lanka to uphold its Geneva commitments to human rights, reform, accountability, justice and reconciliation," it said. The United States called on all sides in Sri Lanka to operate within the constitution and refrain from violence as the president's sacking of the prime minister triggered a crisis. Washington also urged the island to move forward on post-war reconciliation after President Maithripala Sirisena installed as prime minster Mahinda Rajapakse. "I am addressing you as the prime minister of Sri Lanka," Ranil Wickremesinghe told reporters at a nationally televised press conference on Friday night. "I remain as prime minister and I will function as the prime minister."